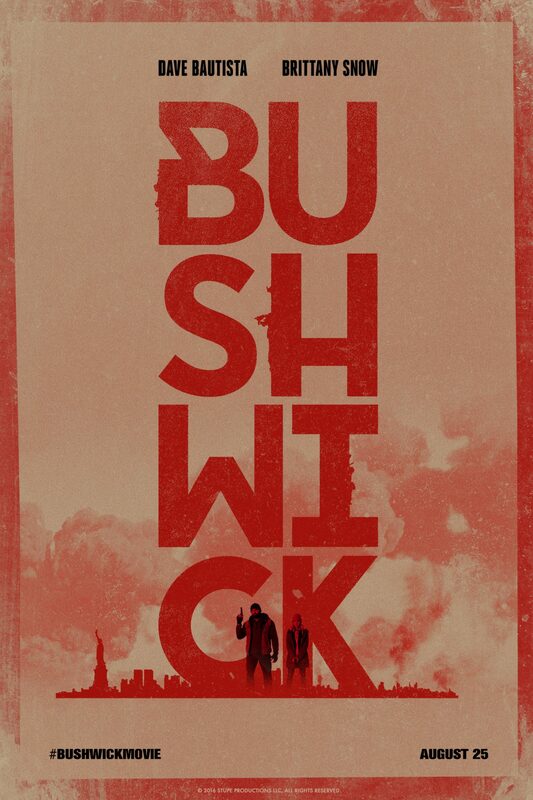 Bushwick comes at a time that should make this B-movie picture about a new American Civil War all the more interesting. But rather than add a disturbingly real undercurrent to the filmmakers’ attempts at politically charged material, it only highlights how silly, confused and hard to swallow a lot of Bushwick is. Bushwick opens with Lucy (Brittany Snow) – a former resident of Bushwick returning home to introduce her boyfriend to her parents – stumbling out of the underground to discover that America is at war. We later learn that a private militia is invading Bushwick and other areas in an attempt to force the president to accept a number of Southern States’ attempt to secede from the United States of America. That the characters seem surprised that this is happening, that it was apparently a complete secret and unknown possibility until literally the moment it happened, speaks to how little regard directors Jonathan Milott and Cary Murnion – working from a script by Nick Damici and Graham Reznick – have for actually trying to convince an audience and pull them into buying any of this nonsense. The film then follows Lucy, who is quickly accompanied by an ex-marine turned janitor played by Dave Bautista, as she tries to track down her family and escape from the war zone that Bushwick has turned into. Milott and Murnion present a large portion of this as if we are watching a single take, although there are a number of comically not-so-hidden cuts and some later dissolves. It becomes incredibly tiresome very early on watching the camera pan to a flight of stairs or a dark cupboard in an effort to conceal a cut. Why do they do this? It certainly doesn’t add any tension to the incredibly dull and unconvincing material and the conceit does a great deal more to distract than anything else. And then there’s the incredibly confused and accidentally (?) right wing politics of the piece that are occasionally laughable and would be somewhat offensive if it was possible to take Bushwick at all seriously. The ‘heroes’ of the film are Lucy, Stupe (Bautista) and the residents of Bushwick, who are fighting back against the “insurgency” – the screenwriters’ choice of this word is a little… odd – by the South. These ‘heroes’ form together in groups and fight back with guns. Whilst Milott, Murnion and co. appear to be fighting back against modern White Supremacy and the rise of the Right in America, they inadvertently seem to be supporting the Second Amendment, suggesting that Americans have good reason to bear arms and form militia, just in case something like this might happen. As one of the Southern soldiers comments, regarding the ‘invasion’ going wrong, they just didn’t expect the Bushwick residents to have quite so many guns. Bushwick is a deeply silly movie which massively bungles its politics and has little to impress in its pointless and poorly executed form. The undercurrent of cynicism throughout – a late scene even exploits 9/11 in a particularly crass fashion – drags down what could have been a rather entertaining execution of intriguing satirical concept. A misfire in many, many ways. This entry was posted in Reviews and tagged Action, Adventure on May 27, 2017 by Craig Skinner.